JYJ member Park Yoochun who interrupted his filming schedule for SBS TV series Rooftop Prince due to the passing away of his father, has returned to the set on March 17th, 2012. 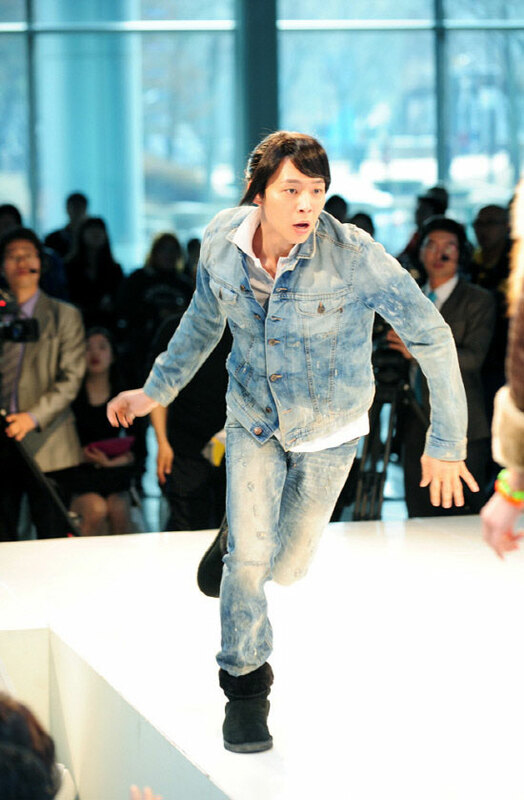 On March 17th, 2012, Micky Yoochun appeared for the first time at shooting scene after the death of his father, and several behind the scene stills of Yoochun during the filming were released. Before then, there was report that Park Yoochun will rejoin the shooting on March 19th, 2012, but he unexpectedly rejoined the shooting 2 days earlier on March 17th, 2012 instead, as he felt that he couldn’t let the production progress of the drama delayed because of him. On the day's shooting, Park Yoochun looked haggard, but he was even more concentrated during the filming. He also bowed and saluted staff crews. PD Shin Yoon Sub said that he is grateful that Park Yoochun can return to filming so soon. The return ahead of schedule by Park Yoochun also touched many fans.